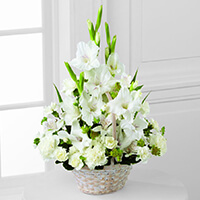 To send flowers to the family of Berenice W Crociani (Weaver), please visit our Heartfelt Sympathies Store. We encourage you to share any memorable photos or stories about Berenice. All tributes placed on and purchased through this memorial website will remain on in perpetuity for future generations. So sorry for your loss Kevin. I worked with your Mom and Dad at Probation. Met you once or twice too. She hired me in 1985 at 20 years old. She was always good to me. She was a tough boss but a great lady. She always had my best interest at heart. Even when I moved on to another division, she was still the best. Your dad too. Rough exterior but a nice guy. Reading how your Mom gave up college to work for the F.B.I. when WW2 started is just amazing to me. Then 40 years at Probation. What and extraordinary life. May she Rest In Peace. Our entire family is saddened by the loss of our dear Berenice. It is a cliche to say she was "LIKE" family, for indeed she WAS family to us, We share many, many memories , all of them wonderful of this amazing woman.